The list does NOT contain illegal software, cracks, serials, patches or the software to get such programs. Free CD to MP3 Converter: Free cd to mp3 converter: A free and easy to use mp3 converter software. Gungirl Sequencer: Gungirl Sequencer: Welcome to Gungirl Sequencer! MP3 CD Doctor Lite: mp3surgeon.com ... always one step ahead of the digital music evolution. MP3myMP3 Recorder: MP3 My MP3 Recorder - Record sounds and music to MP3 Free! Switch Audio Rile Converter: Audio Sound File Converter Software. Convert wav, mp3, dvd, midi, dvf etc. The GodFather: . :: The GodFather ::. xrecode II: Convert flac to mp3, flac to wav, ape to mp3, cue to mp3, flac to alac, flac to m4a, flv to mp3 and more. AVI DVD Burner: AVI DVD Burner 2010 Free Download - DivX, Xvid, AVI, Rmvb, Mkv, Asf, Wmv DVD Burner, Convert and Burn DivX, Xvid, AVI to DVD with subtitles, supporting all mainstream multimedia formats! Claws Mail: Claws Mail - the email client that bites! SquirrelMail: SquirrelMail - Webmail for Nuts! Zimbra: Zimbra offers Open Source email server software and shared calendar for Linux and the Mac. Raptr: Raptr: What are you playing? Juice: Juice, the cross-platform podcast receiver. Radio? Sure! : Download | Radio? Sure! MediaPortal: MEDIAPORTAL - a HTPC Media Center for free! Musik Cube: musikCube. Don't be square. Quick Time Alternative: Free-Codecs.com : QuickTime Alternative 3.2.2 : QuickTime Alternative will allow you to play QuickTime files (.mov, .qt and other extensions) without having to install the official QuickTime Player. Pop-up Stopper: POP-UP STOPPER brand ad blocker - FREE popup blocker from Panicware. Trust this pop-up blocker. Eclipse: Eclipse - The Eclipse Foundation open source community website. Kaspersky TDSSKiller: How to remove malware belonging to the family Rootkit.Win32.TDSS (aka Tidserv, TDSServ, Alureon)? Spyware Blaster: SpywareBlaster® | Prevent spyware and malware. Free download. SUPERAntiSpyware: SUPERAntiSpyware.com - AntiAdware. AntiSpyware. AntiMalware. Zone Alarm: ZoneAlarm by Check Point - Award winning PC Protection, Antivirus, Firewall, Anti-Spyware, Identity Protection, and much more. That's just a few open source packages. When you add closed-source freeware, the list gets much bigger. Unfortunately, I don't think it's possible for us to keep a list of freeware. I'll probably add more later. These are just things I can think of. hmm, JCB or another mod, is there any chance of creating a temporary thread to move the posts below the original to so I can add the second page and reserved page, or just clear the thread after the first post til I can add a couple of extra posts for more room? Chasys Draw IES application was designed to be a drawing program like no other. Chasys Draw IES Artist is the main image editor and paint program in the IES suite. 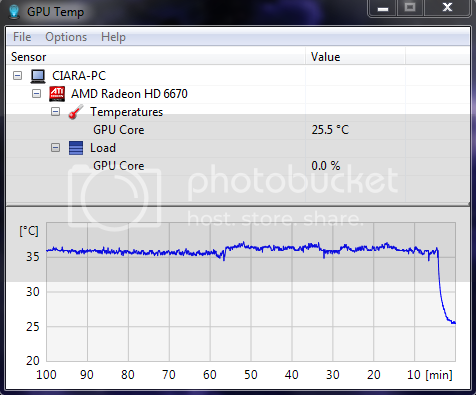 GPU Temp is a free GPU temperature monitor that can display GPU core temperature and load, the temperature data will display in the system tray, and will be real-time updated. In addition, you can choose the color for temperature display, also supports start with the Windows system. Great little utility that can do so much ! 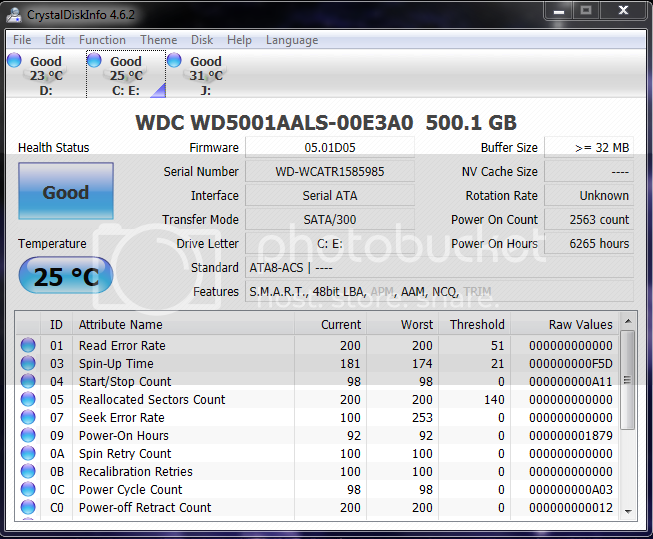 CrystalDiskInfo enables you to monitor the health status of your hard drive disks, including the current temperature and S.M.A.R.T. attributes. The program also displays detailed hardware information for each drive along with the serial number and supported hardware features. Additional features include statistical graphs (powered by Flot), support for SSD drives, integrated email alerts, system tray alerts (system tray is referred to as "resident") and more.